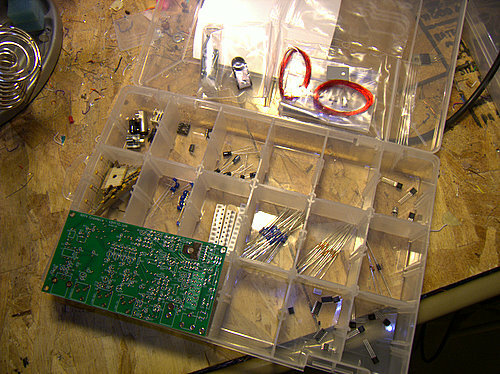 I sorted the parts into some basic groups. 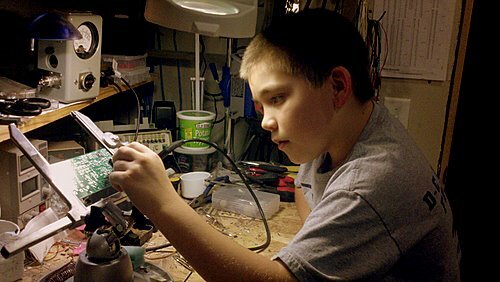 My son N2BEN (10) is helping me solder. 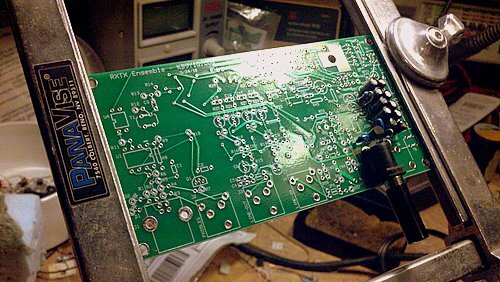 We finished the initial 5vdc power regulation stage. I will see if we can try to put 30-60 minutes in per night to see if we can try to keep this moving along.